Starting my garden from seed is one of my favorite things about gardening. At the risk of sounding cliché, it is a miracle unraveling before my eyes, unlike anything else in life. We take a tiny seed, like these guys, put them in the ground, tending here and there, and get pounds and sometimes POUNDS of food out of it! This simple concept amazes me every. single. year. It is the awe that drives my garden work. Keep the seed bed moist, especially until they germinate. This can be a challenge during early summer hot spells! Help those tiny plants that do pop up, beat those fast growing weeds! Pull out the weeds, and cover the ground with mulch. Carrots are my least favorite vegetable to start in the garden, for several reasons. Honestly, some years I’ve skipped it all together, despite loving carrots. This year, I had an unclaimed patch of dirt and the carrots won. Plant your carrots right into their final location in the garden bed. 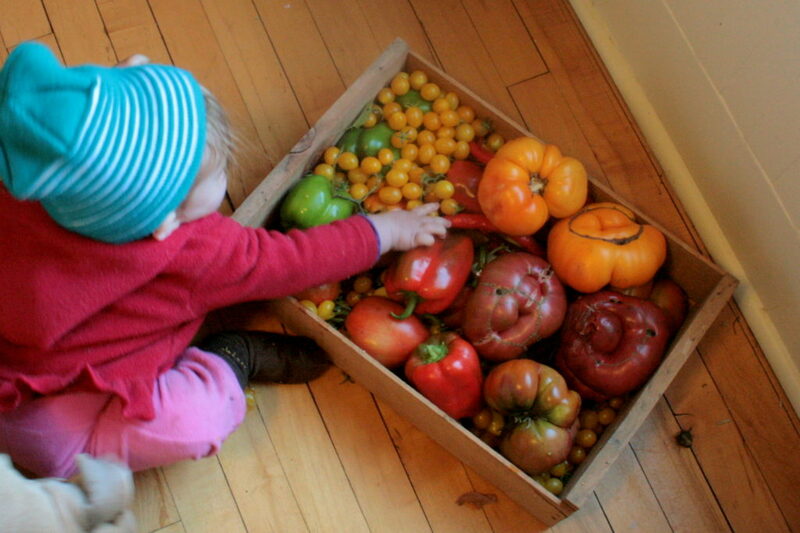 But, man, those seeds are small! Don’t plant them on a windy day, they will blow away. We know this one well. 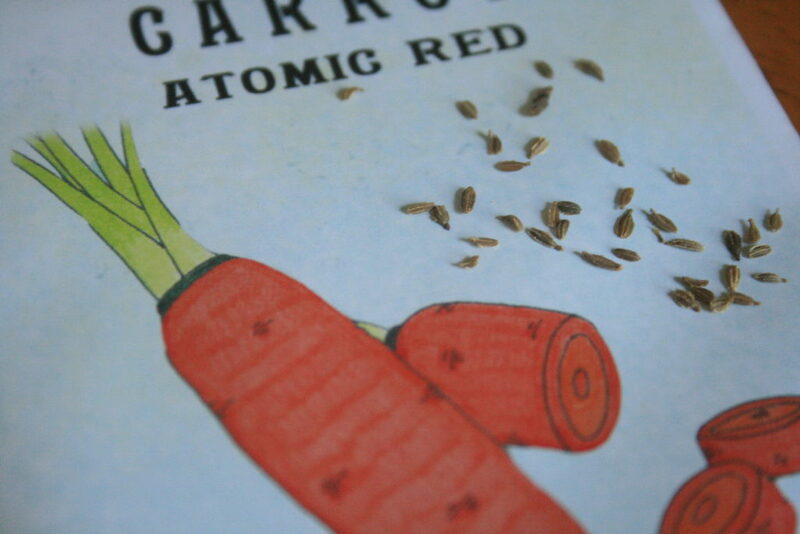 To make matters trickier, carrots are very slow to germinate. You will not see anything for weeks, despite daily watering. Many, many weeds will come up before your carrots do. Then, one day, hopefully you will see this. You will likely also see this. 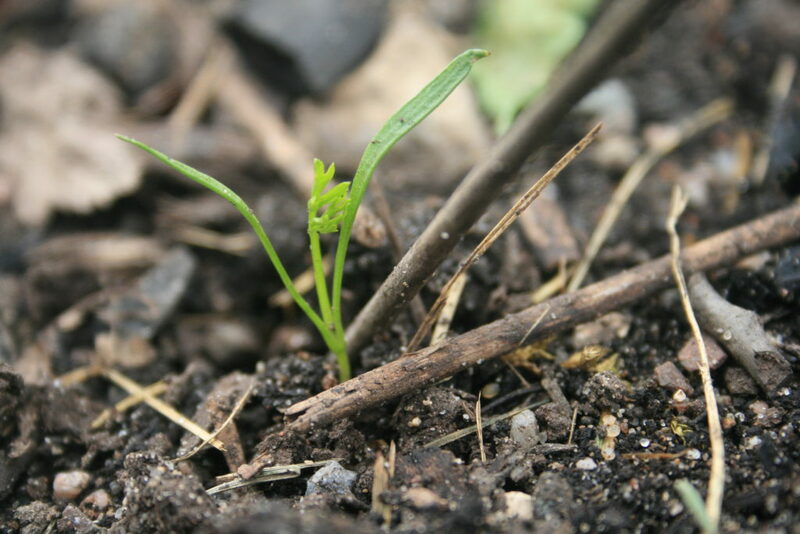 Unless you know your plants well, it is best to just leave the seed bed alone until the plants are bigger. Did you figure it out? 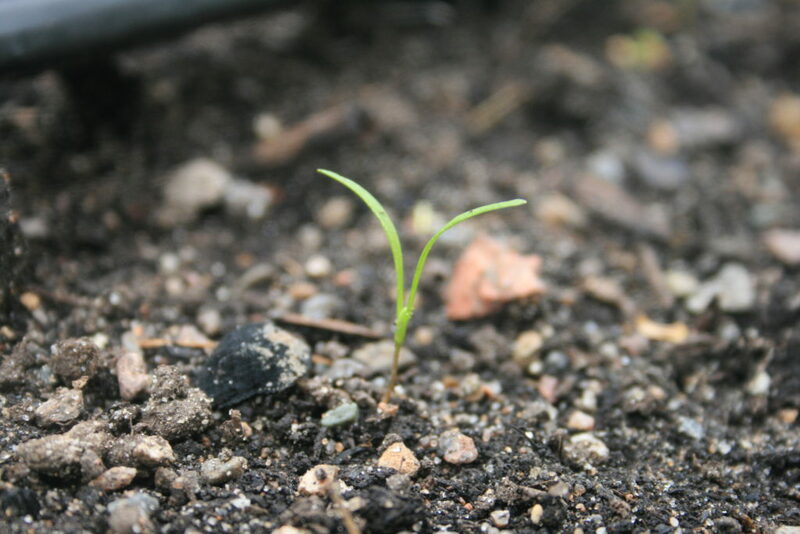 The first is a carrot seedling. The latter is just grass! In not too long, the true carrot top will begin to show and you can go ahead and clear all the other little weeds sprouting up. When your carrots have a few true leaves and are taller, you might go ahead and mulch the area. Mulching will help your plants along, as I talk about in this post. 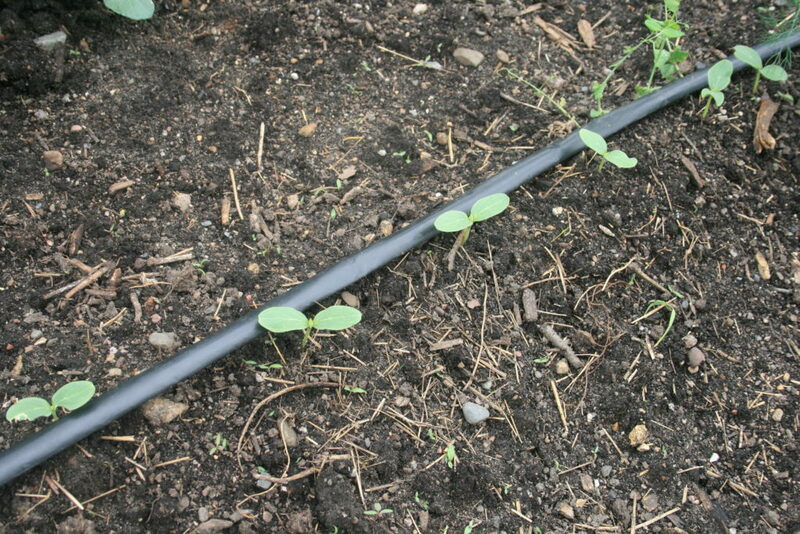 Wouldn’t it be nice if all of our seeds germinated like the cucumber? 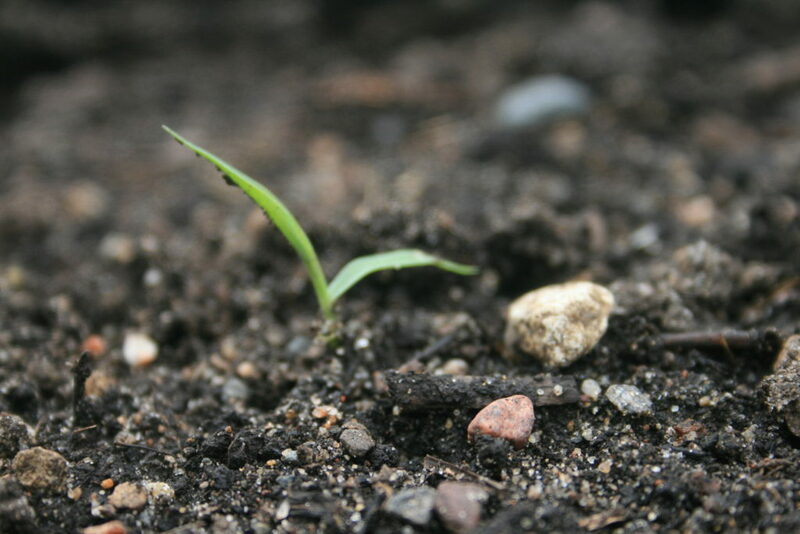 They germinate in a matter of a few days in the right heat, and they come out of the ground in such triumphant glory! It is hard to overlook the cucumbers. 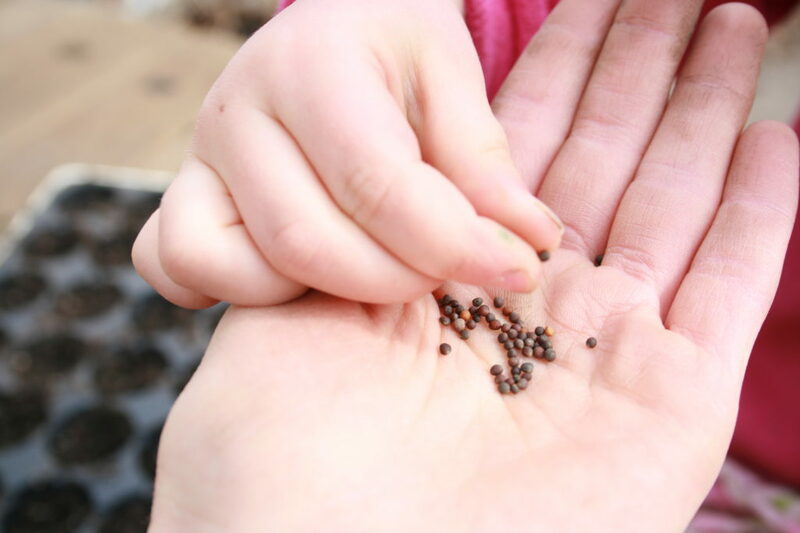 What is your favorite or least favorite plant to start from seed?